Christmas card season - is there anything better? 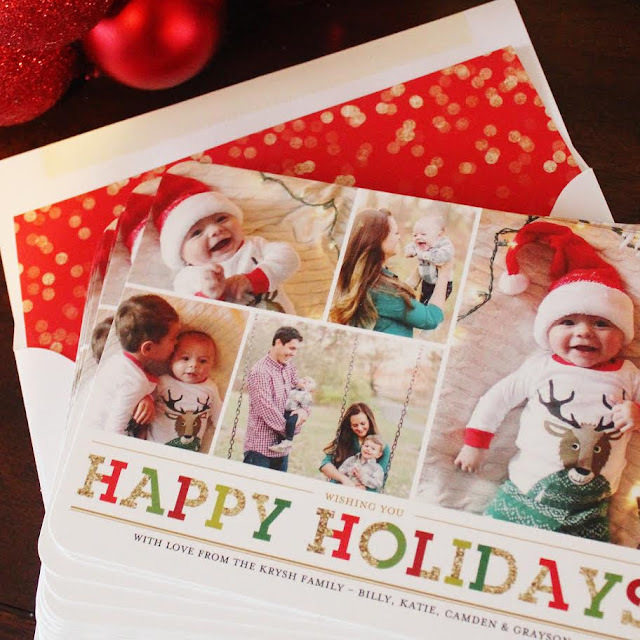 Receiving Christmas cards from our family and friends and sending out our own cards is something I look forward to every year! 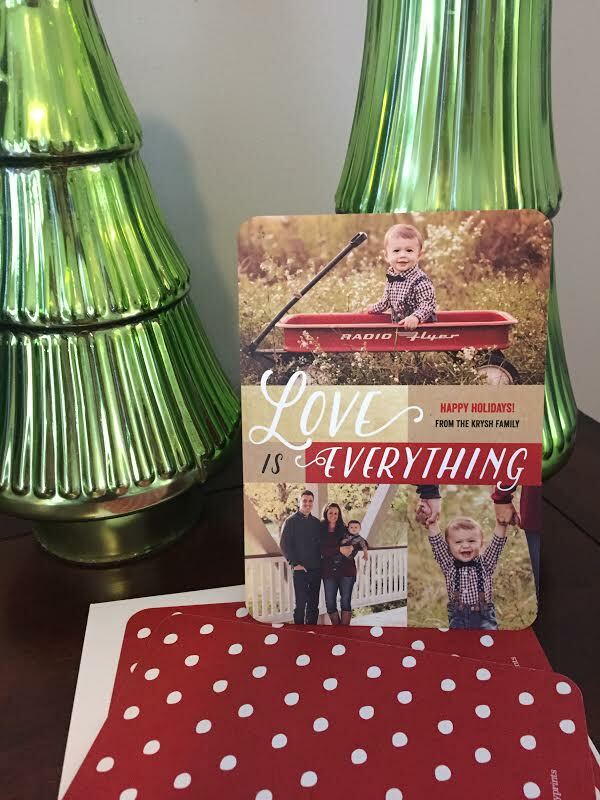 Camden is really interested in helping get the mail now, so it's even more fun to look at the cards we get together. 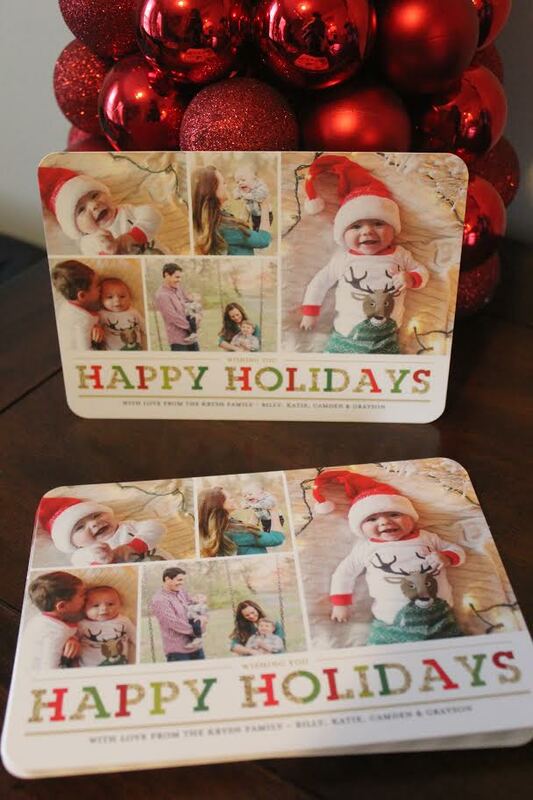 This is the second year in a row I've gotten our Christmas cards from Tiny Prints! When it comes to ordering our cards online, they are hands down my favorite company to order from because of the personal touches I can put on the cards, extensive selection, and how fast they're always sent out to me. I love how our family photos that Little Roo Studios took for us (Rachel also took these maternity photos) match so well with the colors on our card! Before our family photo shoot with her, I was worried we wouldn't have one picture to use for our cards because honestly Camden is not into pictures much lately. He just wants to run all over the place, so I wasn't sure how it would go! Rachel, once again, proved us wrong because she gave us so many beautiful photos to choose from (plan to post them all soon!) I also decided to include some pictures of the boys that I took at home randomly, just because I liked the idea of putting two different 'types' of pictures on the cards. 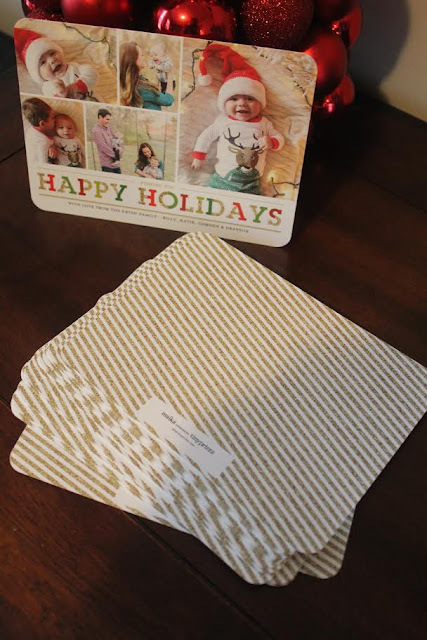 Lastly, how perfect are those red envelope liners? I'm kinda obsessed with them. 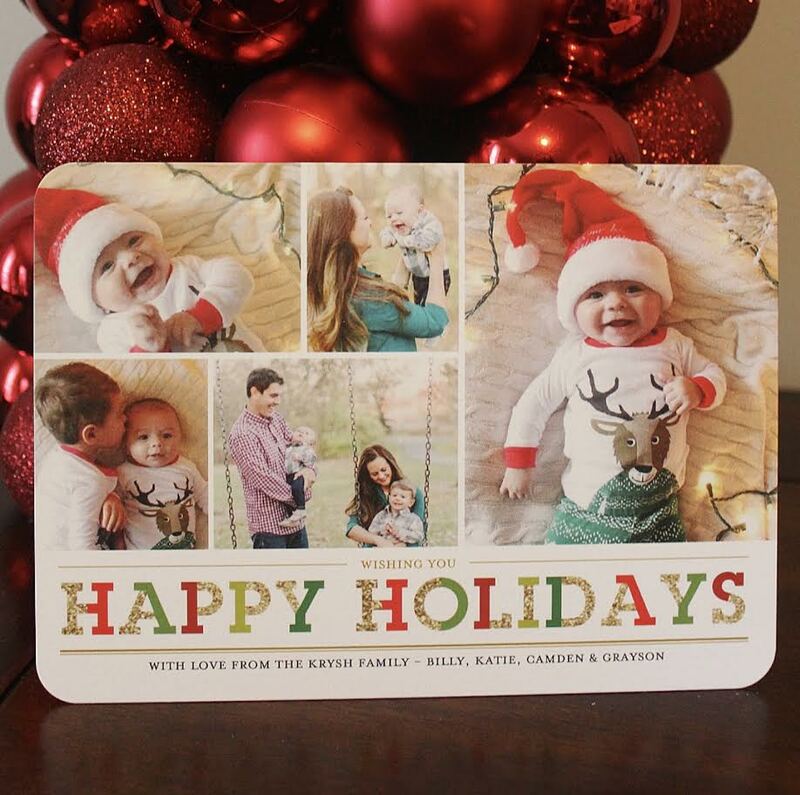 If you haven't ordered your holiday cards yet - you still have plenty of time and can see all of Tiny Prints holiday cards here! And if your local and in need of family pictures - Rachel is your gal! (you can also find here on instagram here, or facebook here) You won't be disappointed!